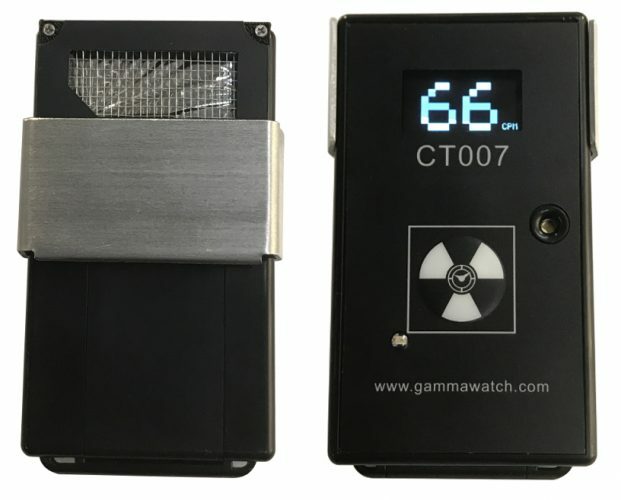 The CT007-F is a compact alpha, beta, gamma detector. 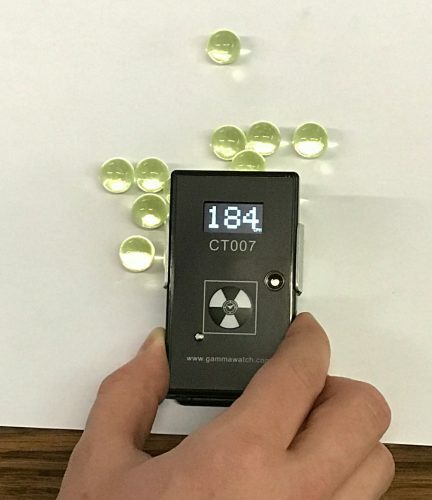 This makes it suitable for identifying radioactive contamination. Unlike pancake Geiger-Mueller tube based instruments, it is light, compact, and durable. 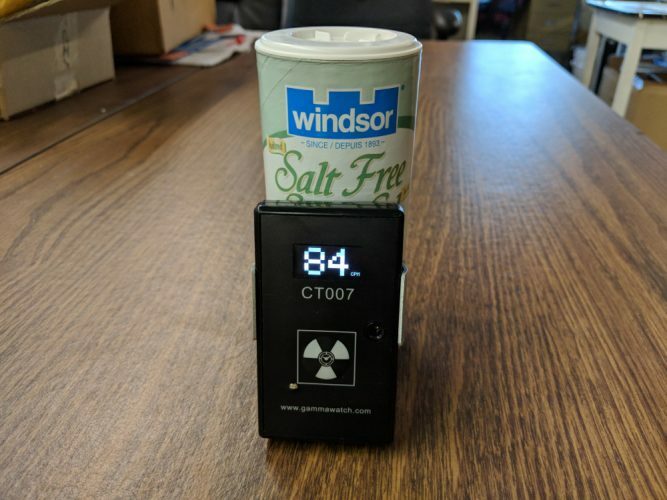 The CT007-F is sensitive enough to pick up the radiation from household items, but can still measure up to dangerous levels. It is easy to use and can even connect wirelessly to your phone. The phone provides a rich user interface and allows for time and date stamped data logging with GPS coordinates. The data can be logged to a file on your phone as well as optionally being logged to RadResponder. 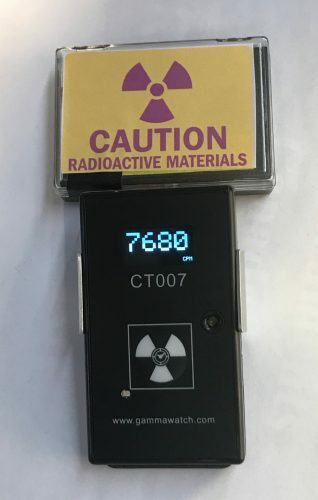 The CT007-F can measure alpha, beta, and gamma radiation. 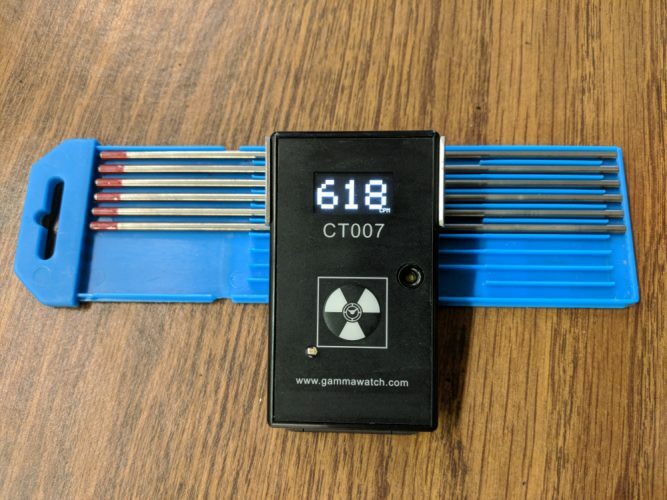 This makes it suitable for identifying radioactive contamination. It is light, compact, and durable. Its compact size makes it easy to store, carry, and operate. It is durable and reliable, as its sensor is not sensitive to impacts or pressure changes. The built-in display and one button interface makes use simple and intuitive. It is sensitive enough to measure background levels, but with a wide enough range to also measure dangerous levels.